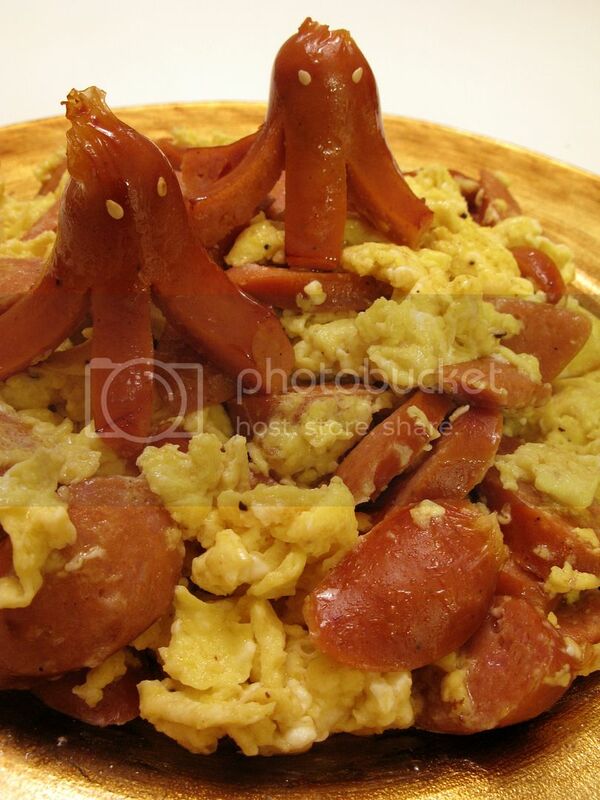 Food Makes Me Happy: Sausage Aliens Attack!! Oh no! Hope you get better soon. It is so annoying to get sick from anything these days especially with so much to do. :( Gets hard to do anything, even blogging at times. Spicy mini sausages sound quite interesting! I don't think I can eat 6 eggs though :). Thank you so much!! I'm gradually recovering now!